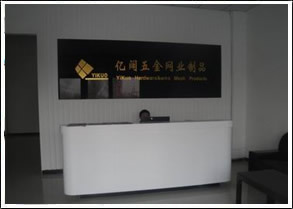 Welcome to Anping County Yikuo Hardware & Wire Mesh Products Co.,Ltd. 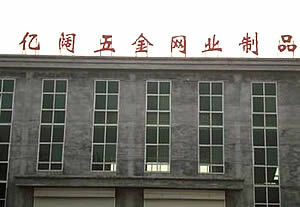 Anping County Yikuo Hardware & Wire Mesh Products Co., Ltd. is located in Anping County which has the reputation of "Chinese Hometown of Wire Mesh". 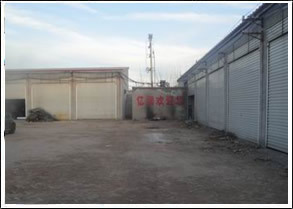 It enjoys convenient transportation being close to the Beijing-Kowloon Railway to the east, Shijiazhuang-Dezhou Railway and Shijiazhuang-Huanghua Highway to the south, Beijing -Guangzhou railway to the west, Beijing-Shenzhen highway to the north. 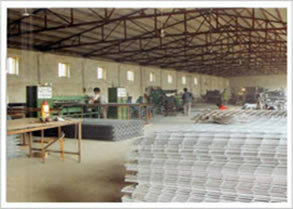 We main produce nylon wire mesh, wire mesh fence, our main products include stainless steel wire mesh, welded wire mesh, window screen, hexagonal wire netting, gabion box, expanded metal mesh, barbed wire, metal wire and other wire mesh. Our products are widely used in petroleum, chemical, construction, textiles, medicine, airspace, expressway, highway, railway, garden fencing, breeding, metallurgy and machinery. 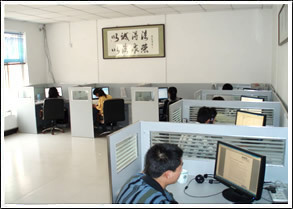 We have standard production and complete quality control system to ensure high quality products to meet our customers’ needs. We are now selling well in China, also exporting to Japan, the USA, European countries, Vietnam, Malaysia, Singapore and other Southeast Asian countries. Copyright © Anping County Yikuo Hardware & Wire Mesh Products Co., Ltd.